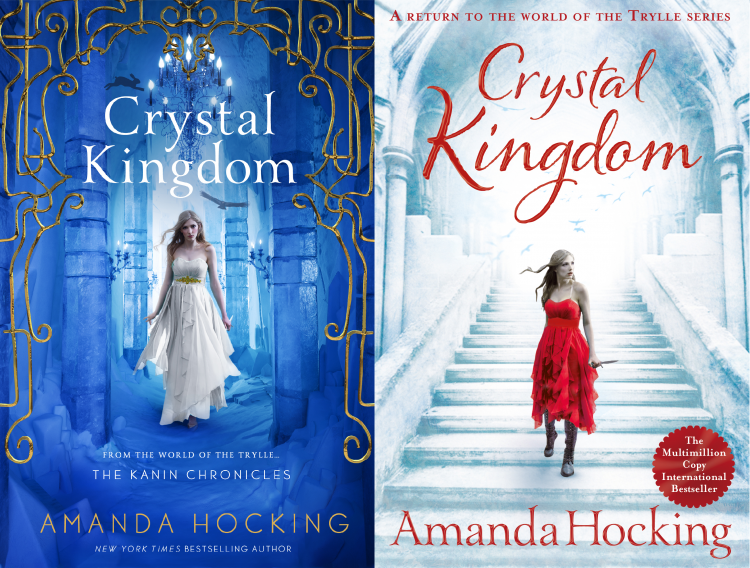 The wait is finally over, and Crystal Kingdom is released, and the Kanin Chronicles has come to an end. My publisher sent out ARCs and had Crystal Kingdom on Netgalley, so I’ve been able to see early reviews of the book. And I can tell you in all honesty that these are the some best reviews I’ve ever gotten for a book. I’ve had good reviews before, but these are ones have been consistently good in a way that they haven’t before. So I guess that means that Crystal Kingdom may be the best book I’ve ever written, which is exciting. Basically, what I’m saying, is that Crystal Kingdom is out now, and you should pick it up. I know some people like to wait until a series is complete until they start it, and now the Kanin Chronicles is complete. If you want to get the first two books in the Kanin Chronicles as well, click here for links: here. While you’re reading, you can also check out the soundtrack for Crystal Kingdom here, and you can also check out my dreamcast for the Kanin Chronicles over at Pinterest here. And finally, here are some places you can get Crystal Kingdom. If you got to a physical bookstore, and they don’t have it on the shelves, ask for it. They might not have put it out yet, or if its not in stock, they can order it for you. Are you going to write another book after Crystal Kingdom? You were one of my favorite authors and I really hope you write another book in the Kanin Chronicles. Maybe Bryn gets pregnant or something like that! Great job with all your books I love them so much! I LOVED THE BOOK! It was awesome, and I wish the series would never end! I couldn’t stop crying at the end of this book, it was so sad after you got to know him. Anyways I read the whole series under a week, that’s how much I loved it! Great job Amanda! Are you having a book signing tour? Just finished and wanted to say what a privilege it was to read this series. It was excellent with amazing characters, twists and turns, and an over all amazing world you have created. Thank you for writing these amazing Kanin books, and I hope that maybe in the future we will here more about what happened in Bryn and Ridleys future. This is one of my new favorite series and the best book I have read this summer! I will defiantly recommend this series to others!! !